Rejected or denied claims represent hundreds of billions of dollars in lost revenue for healthcare organizations each year, costing them about 5% of their net revenue stream. 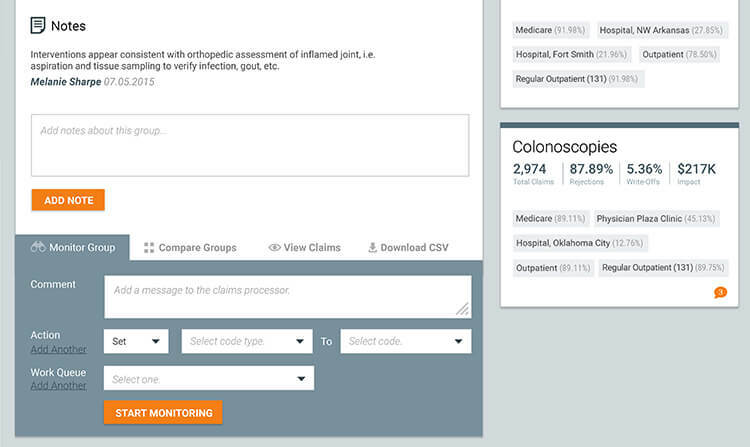 While the recommended rate of denials is under 4%, the actual rate for many healthcare organizations is around 20%. 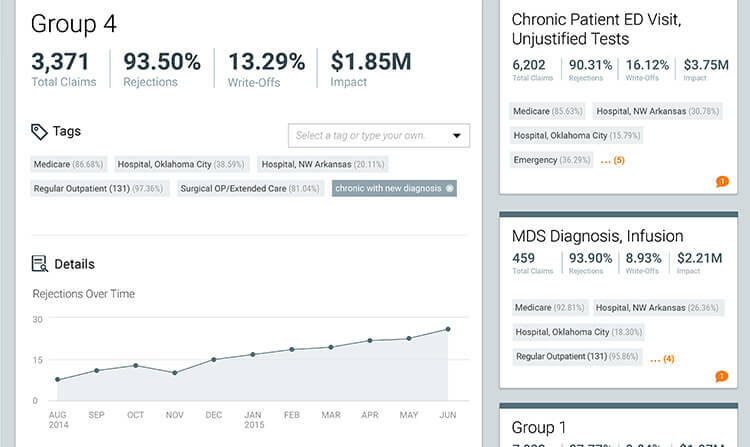 The most efficient way to reduce the amount of lost revenue is to target the root cause of denied claims – something that is very difficult to do using Excel and existing revenue cycle management solutions. The amount of data included in UB-04 forms along with the associated 835 transactions create increasingly complex scenarios. 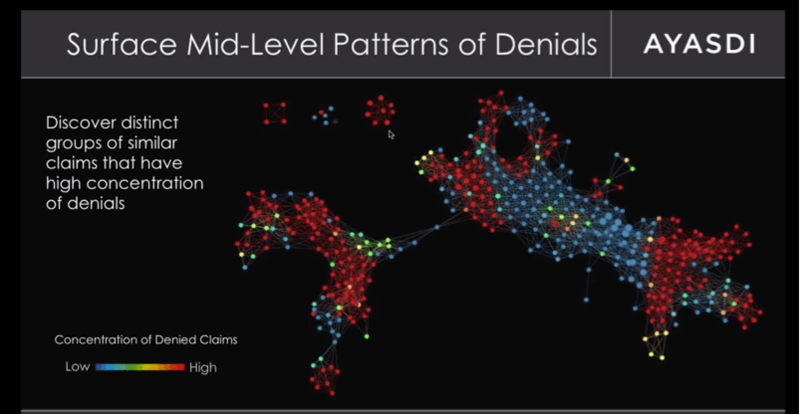 Ayasdi for Denials prevention draws on the power of our technology to automatically discover all the patterns in your denied claims – including the complex denials patterns in the 65% of claims that typically go untouched. 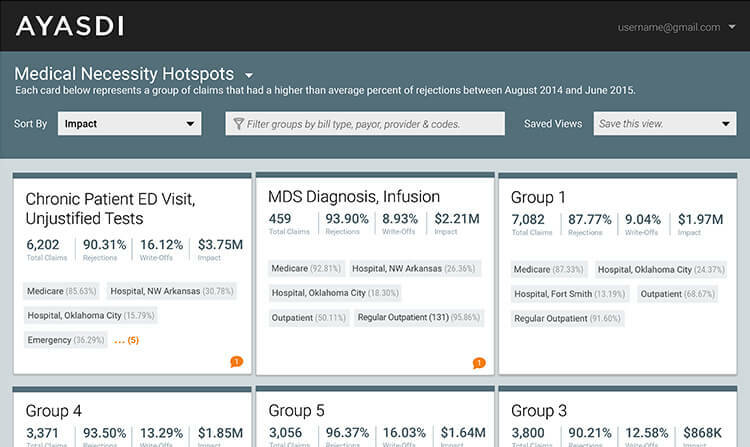 It rapidly analyzes thousands of attributes (such as procedure codes, provider locations, physician and payer-related information) and groups similar claims to reveal patterns. Most existing tools are incapable of surfacing these distinct patterns and denials management teams have limited resources to manually evaluate, fix, and resubmit individual claims. 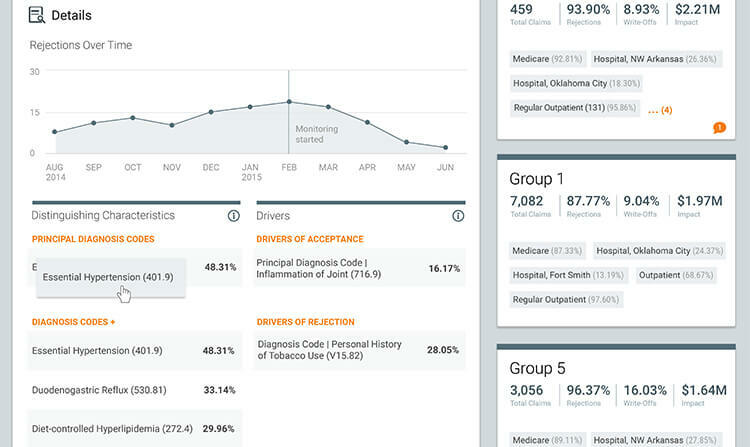 The insights discovered by analyzing denied claims can be used to proactively improve upstream coding changes by the medical staff that will avoid future denials. Instead of evaluating individual denied claims, a domain expert evaluates groups of similarly denied claims and suggests process improvements using the underlying characteristics of each of these groups. By identifying, modifying, and fixing processes upstream, hospitals can minimize the number of claims that are rejected or denied. Ayasdi for Denials Reduction quickly surfaces groups of similar claims that are frequently denied, along with the key characteristics and reasons for denial. Finding the precise combinations of procedures, physicians, and diagnostic codes that influence payment eligibility using conventional analytical tools is time-consuming and resource-intensive. 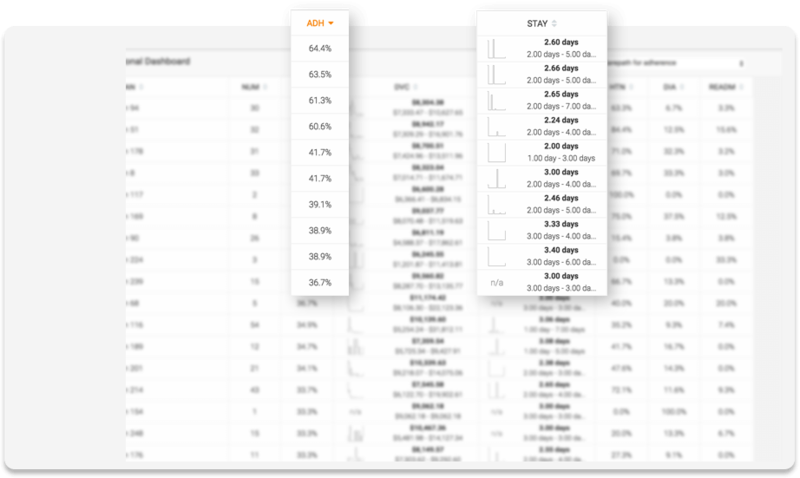 Ayasdi’s claim profiles contain a rich description that includes the revenue impact. The average cost of re-working a claim is $31. With hundreds of denied claims pouring in each day, providers need an efficient way of prioritizing claims for resubmission. Ayasdi for Denials Reduction helps classify newly denied claims and prioritize them for correction with prescriptive guidance based on how similar claims have been pursued successfully. It limits the investigation effort required to determine the root cause of the denial to fix the claim. This greatly improves the efficiency of the billing team and speeds payment reimbursement. By understanding the different drivers of denials, a subject matter expert can capture prescriptive guidance to prioritize and efficiently dispose off large batches of similar claims. Such guidance can be used upstream to prevent denials before claims are submitted. The patterns of denials change over time, driven by regulation, contractual arrangements, software changes and changes to billing codes. An intelligent system learns from these changes and automatically adapts to the shifting landscape. This distinguishing feature closes the loop on an intelligent system by once again applying unsupervised learning techniques to detect even the most subtle change and alerting downstream applications or business leaders.